What do you look for in a potential travel destination? Comfortable hotels, friendly people, a variety of sights activities and value for money usually rate well on a traveller’s list, and they all describe Vancouver, British Columbia. Voted the most livable city in the World by The Economist in 2005, Vancouver hosts the Winter Olympics in 2010 but I’d visit now for a great value, fun vacation. The cultural diaspora of Vancouver can satisfy punks, art lovers, classical music lovers or use it as the gateway to your Canadian wilderness trip. Take the gondola to the top of Grouse Mountain for a snow fight with the kids or to polish your shredding style before heading out to Whistler/Blackcomb. 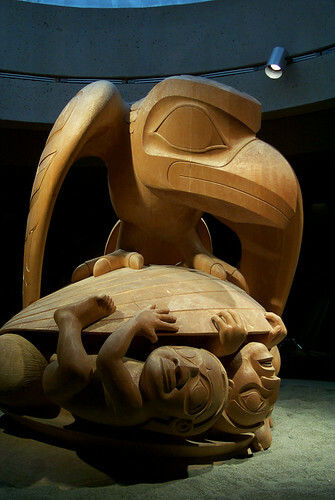 The Museum of Anthropology at the University of British Columbia houses a fantastic collection of First Nation’s artifacts including totem poles, modern sculptures and cultural items. Inspired to buy a similar First Nation art object head to one of the many galleries like Eagle Spirit Gallery on Granville Island. Whatever your passion, take advantage of the holiday packages from Tourism Vancouver and experience British Columbia.